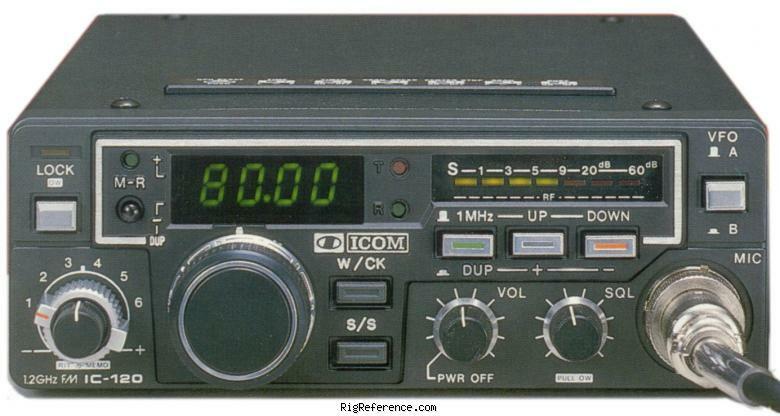 The Icom IC-120 is similar to the IC-290A but operates on the 1200 MHz band instead of 2 meters. Power output is 1 watt. Operation is from 1260-1300 MHz. The speaker is built-in. This radio requires 2.5 amps. The Icom ML-12 is an optional 10 watt transmitter booster with receive preamp. Estimating the value of a rig can be challenging. We collect prices paid by real hams over the years to help you estimate the current value of the ICOM IC-120. Just bought or sold this model? Let us know what you traded it for and help other ham operators!